Lone workers carrying out their duties in ATEX areas are exposed to various hazards, many of which may be dangerous to them and to the company, if taken lightly and without adequate safeguards in place. Working on COMAH sites, where ATEX zones are prevalent, is a challenge that cannot be underestimated as there are many risks that employees are exposed to during the production process. One of the best ways to ensure lone worker safety is by the provision of communication devices which have been authorised by the regulatory bodies and can be used throughout all areas of the plant including ATEX zones. Employees that work in COMAH sites are often at physical risk due to the nature of the environment e.g. dangerous substances, moving machinery, hot boilers and electrical equipment. In busy plants where the workers are under minimal supervision, it is imperative that if an accident occurs the lone worker can contact their colleagues for help. This might not be possible without appropriate communication systems in place, posing a significant risk to both the employee and the business. For instance, when maintenance teams are dispersed for their duties in COMAH sites and more specifically areas designated as ATEX zones, they are required to leave their non-ATEX devices outside the restricted area. Conventional mobile phones and devices pose a hazard as they can emit a spark which could cause an explosion in atmospheres that are highly flammable. As a result, communication between an employee and their colleagues may prove difficult and can affect productivity and safety as a result. ANT Telecom can offer solutions to these high risk ATEX environments, protecting both the company and their employees. This gives employees peace of mind to enable them to do their work confidently, knowing that they have the full support of their team should they need it. In an industry that focuses on working in ATEX areas, communication should be emphasised. Employees should be encouraged to communicate with their supervisors and to report any hazardous occurrences in their work area. 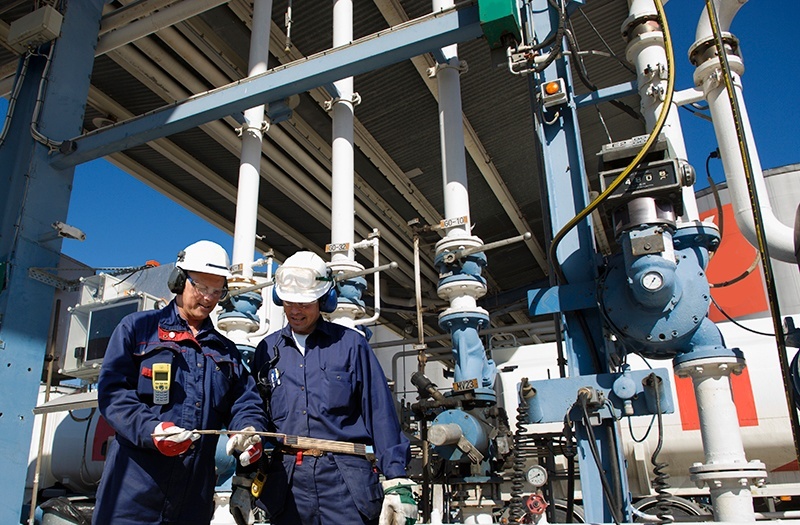 In ATEX areas, there is no negligible incident that does not need attention. Lone workers should not shy away from reporting any occurrence that could cause a bigger tragedy for fear of intimidation. While it may be appropriate to wait until the end of a shift to communicate some occurrences to the relevant team, there are other occurrences that may need immediate attention once detected. In some cases, a lone worker may not be sure of the nature of the incident or its possible implications. The lone worker should contact their supervisor immediately in cases where they are not sure of the nature of the fault detected. Escalating their findings will enable their supervisor to investigate further and find a solution that could prevent any imminent danger. The minor cases that are reported to the supervisors by lone workers need to be analysed for the supervisor to come up with a detailed solution. A lone worker in a manufacturing plant, for example, may detect that the machines overheat in the afternoon and become a safety hazard to the employees and their operations. The employer needs to come up with a means of ensuring that room temperature is maintained at all time. The solution could involve setting up more automatic air conditioners to keep the site’s temperature within the required range. Lone workers should also have a means of communicating with the relevant personnel in case of machine malfunction due to high temperatures. The communication equipment provided should be approved by the relevant regulatory body to make sure that it does not create additional risk and can be used safely in high temperature environments. In determining the steps taken in rectifying any flaws in the industrial plant, the employer may decide to add or remove some equipment to ensure both the safety of the lone workers and the industrial equipment. Lone workers need specialised equipment based on their roles and hazards to which they may be exposed. Every device may have varying features to the other and, therefore, using one device may not be convenient for all lone workers. You need to thoroughly analyse all communication and alerting solutions before choosing the one that best suits your company’s objectives, environment and existing infrastructure. Panic alarms – Lone workers use this kind of device to raise an alert. Man down alarms – In many cases, lone workers may suffer an attack, fall or sudden illness that leaves them unconscious. In such a condition, the lone worker is not in a position to trigger an alarm. . Luckily, the sensor in the device detects when the employees in lying motionless in a horizontal position and activates itself. Pre-alarm - This feature gives a warning to allow the lone worker to check and avoid giving false man down alerts . Voice - Communication is important in all emergencies. Therefore, all lone worker devices must support two-way voice communication between themselves and their responder team. Location – Be capable of detailing the area where the lone worker has triggered the alert from. This is key when the lone worker is incapacitated. There are several platforms that lone worker solutions in ATEX areas can be delivered over including; 3G / 4G networks and Digital Mobile Radio (DMR). To find out more about the different lone worker solutions available, download our Lone Worker Guide.